Looking forward to Coastword, Dunbar's festival of words, taking place from 20th - 22nd June. "CoastWord, Dunbar's festival of words, is a magical mix of singer songwriters, poets, writers and as was put by one of our audience last year ‘Grass Roots Story making’. CoastWord is not to be missed! Established and Masterful Writers with the New and Emerging come together with the stories from our town. 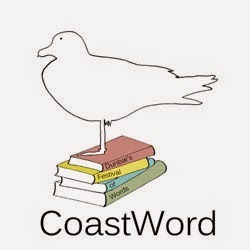 The stories of mothers and grandmothers, of local poets and singers, from the young to the old, to the new residents to the ones who have seen our town through a lifetime and through the lifetimes before them- CoastWord is a festival that looks out and then back in –like the waves that shaped us". The Mobile Library is on the road again!